Kick off your visit on the 12th (Tue): enjoy the sand and surf at Ocean Beach, visit a coastal fixture at Barrenjoey Lighthouse, and then stroll through Palm Beach. To see maps, photos, traveler tips, and tourist information, use the Palm Beach travel route tool . Sydney to Palm Beach is an approximately 1.5-hour car ride. In February, daily temperatures in Palm Beach can reach 31°C, while at night they dip to 23°C. Finish your sightseeing early on the 12th (Tue) so you can travel to Nelson Bay. Nelson Bay is a suburb of the Port Stephens local government area in the Hunter Region of New South Wales, Australia. On the 13th (Wed), get up close to creatures of the deep with a dolphin and whale watching tour, don't miss a visit to Gan Gan Lookout, and then look for all kinds of wild species at Tomaree Head. To find out how to plan a trip to Nelson Bay, use our trip itinerary maker. Getting from Palm Beach to Nelson Bay by car takes about 3 hours. In February in Nelson Bay, expect temperatures between 32°C during the day and 20°C at night. Cap off your sightseeing on the 13th (Wed) early enough to travel to Byron Bay. 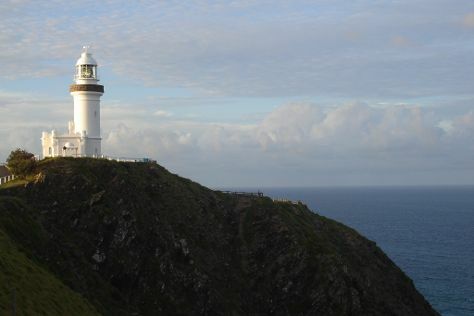 Start off your visit on the 14th (Thu): take a tour by water with Boat Tours & Water Sports, then browse the exhibits of Jules Hunt Studio Gallery, then visit a coastal fixture at Cape Byron Lighthouse, and finally hike along Cape Byron Walking Track. Get ready for a full day of sightseeing on the next day: take in the exciting artwork at Thomgallery, then let little ones run wild at Crystal Castle & Shambhala Gardens, then take a memorable tour with Tours, and finally relax and rejuvenate at some of the top local wellness centers. To see other places to visit, maps, ratings, and tourist information, you can read our Byron Bay online trip builder . Traveling by combination of flight and bus from Nelson Bay to Byron Bay takes 5.5 hours. Alternatively, you can drive; or do a combination of bus, train, and flight. February in Byron Bay sees daily highs of 34°C and lows of 21°C at night. Wrap up your sightseeing on the 15th (Fri) to allow time to travel back home.